Nintendo fans everywhere rejoiced as Nintendo big wig Masahiro Sakurai graced the audience with his presence in last week’s Smash Direct. The hardworking director of the soon-to-be monstrous hit “Smash Ultimate” planned the Direct out three days ahead of time, and the hype that went into the momentous event wasn’t just well justified: it was blown out of the water, completely. New characters, new modes, even modifications to modes of old and, of course, a few cliffbreakers, highlighted the mega direct. The Simon Belmont we deserve. Arguably the single biggest part of the Direct was the reveal of five new characters to the cast. 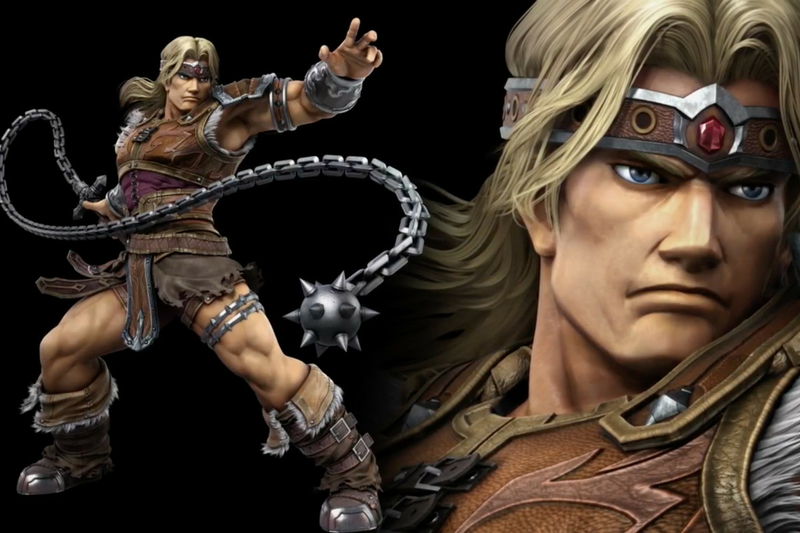 In the beginning of the Direct, we discovered that Simon Belmont and compatriot Richter of the “Castlevania” series would be joining the fight. Shortly thereafter, we found that Echo fighters Dark Samus (Echo fighter of Samus) and Chrom (Echo fighter of Roy) would be joining as well. Finally, the end of the video saved THE best for last; King K. Rool, famous Donkey Kong antagonist and highly demanded at that, was revealed as a new character. The ultimate fanfare. THIS right here was a very clear indication that Nintendo intended to satisfy its fans by delivering the most wanted characters around. 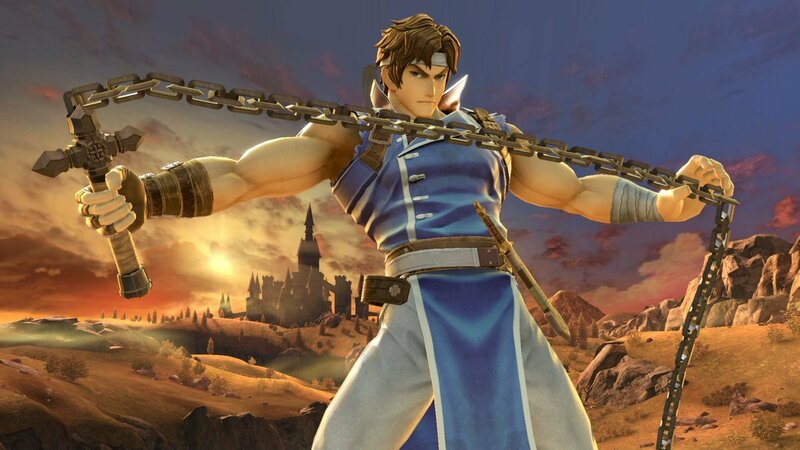 The duo of Simon Belmont and Richter was a clear cut indication of this. Dark Samus was a nice shout out to Metroid fans who wanted another rep (and were somehow not satisfied with the inclusion of Ridley) to try to match up to the reps other popular series, such as Super Mario and Pokémon, got. Chrom was also a nice, seemingly easy, yet impactful inclusion. 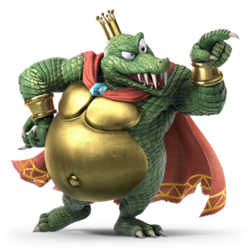 However, it cannot be stressed enough that King K. Rool’s inclusion was Nintendo swinging for the fences and knocking it out of the park. A series drastically in need of a villain rep (less than 5% of the cast consisted of antagonist characters, with Bowser, Ganondorf and Ridley being the only ones of a cast greater than 65 strong) and in need of a DK rep (Donkey Kong and Diddy Kong were the only playable DK reps up to this point) finally got what it wanted. 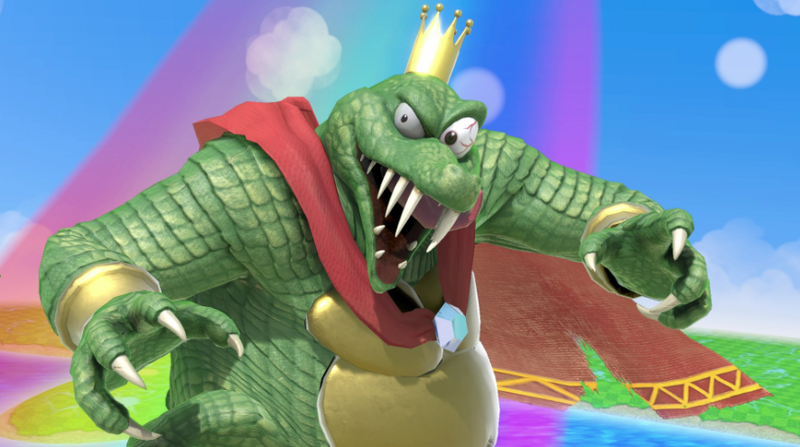 It’s been more than 10 years since King K. Rool was found in a modern video game, and that streak will finally end on Dec. 7. King K. Rool from the “Donkey Kong” franchise. Q: How do these characters seem to fare on the game’s competitive scene? Ultimately, anything said at this point is speculation; we don’t know the gory details (the new characters’ particular frame rates, knockback on their attacks, sabermetrics in particular) but each character did get a small sneak peak of their attributes in their respective reveals. Simon Belmont and Richter (who is supposed to be an echo of Simon) look very, very good. The concept of being “whip” characters is unique, refreshing, but more importantly, in a game where offensive play is being favored more than past iterations, this is a huge boon; they have lengthy melee weapons which can keep enemies at bay, but also help make safely approaching defensive characters a bit easier. Having a projectile in Holy Water is an interesting addition. They both look decently fast, and they both look like they can hit hard. They don’t look like heavies (which would render them susceptible to lengthy combos from fast characters such as Captain Falcon or Meta Knight) and they’re also not particularly tall or long, so their sizes are ideal. They don’t look particularly fast or slow, which isn’t necessarily bad. They don’t look like they’ll be unusable on the competitive scene preliminarily, which should be viewed as a good thing. 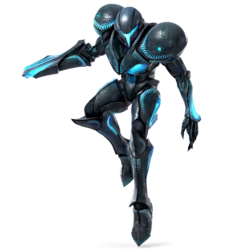 Dark Samus should have many of Samus’ attributes, being an Echo character. No gameplay on Samus in Ultimate has been seen yet, but if Samus is anything like Smash 4’s version, Dark Samus having that much in common could be problematic. Assuming for a moment Samus sees no particular changes, we’re talking about a tall character who predominantly plays defense (though doesn’t have a terrible approach game) that is very, very floaty and is not particularly heavy. In Ultimate, this would be a bad thing. However, fret not: Samus’ biggest two matchup nightmares in Smash 4, Meta Knight and Fox, have received heavy nerfs, and we haven’t seen Samus gameplay too, too much in Ultimate, so there’s no telling if Samus maybe did receive a buff or two to adapt her to the faster paced game a bit more. So, for now, we can only really speculate as to how good/bad Dark Samus will be. As far as Chrom goes, Chrom is an interesting tool. Roy has historically never been truly viable in competitive Smash, so that would, in theory, be immediately working against Chrom. However, Chrom may have picked the right time to appear in such a capacity. Rushdown has received a buff in this game, which will benefit Chrom somewhat. It does mean he will have more competition for actual usage in the rest of the cast, though, so it is a double edged sword. In addition, Chrom is a unique echo in that he isn’t just Roy cut-n-paste. 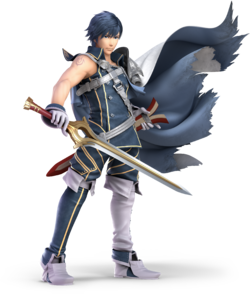 He has mostly Roy’s attacks, but he also has Ike’s Up B recovery and Marth/Lucina’s F Tilt (which is noticeably better than Roy’s) and their F Smash (again, better than Roy’s) so while Chrom may be meant to be an iteration of Roy, he definitely projects to be better than Roy, if only by a little bit. Meanwhile, King K. Rool looks interesting. We know he has a boomerang-esque projectile, he has a counter, and he hits really, really hard. But we also know he’s a massive heavy who moves like a snail. This definitely could present some problems. 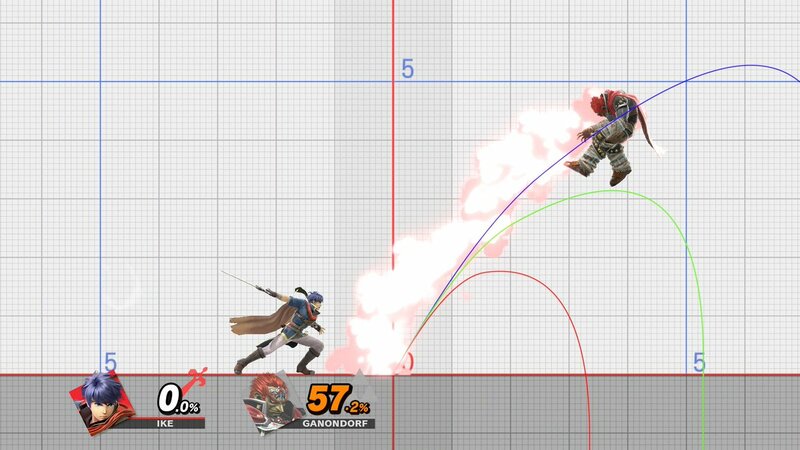 When looking at Smash 4 and its premiere five heavies, Donkey Kong, Bowser, Charizard, Ganondorf and King Dedede, DK and Bowser would have been unviable at high levels of play were it not for their kill-confirming Up throw, which works on anyone in the cast at varying damage percentages. They, however, saw plenty of action, and success, at the game’s highest level because of how threatening their grab and kill confirms were. Charizard was never really good, not really possessing any standout attributes, having extremely poor frame data and being a heavy without a great approach game or projectile. Ganondorf and Dedede, on the other hand, flat out sucked and were borderline unusable beyond the local level in tourney play. King K. Rool, if gifted with a nice combo game or kill confirm, could rise up to meet his rival DK and fellow baddie Bowser. Without something like that, though, King K. Rool could end up like Dedede; totally unusable. Only time will tell how viable King K. Rool ends up being. One of the things this Direct revealed was the smash meter: a Final Smash which passively charges when the player is hit/hits someone, that can be toggled on or off like a normal item could be. It’s designed to be an overall weaker, less impactful final smash than the one obtained from the Smash Ball itself. Probably not (the trailer featured Marth’s final smash meter killing Lucas at center stage at 20%) but if Nintendo were willing to tweak a few things, it could be. Cloud and Little Mac already have Limit and KO Punch, respectively, which work very similarly to the final smash meter concept, and they aren’t uncompetitive with these attributes. It would grant a major boost to all characters’ viability on the competitive scene, if the power could be tamed within reason, and would make the competitive meta as a whole a lot more diverse, viewer friendly, and it would make the game as a whole much more balanced. However, as things stand, the final smash meter makes some characters, such as the aforementioned Marth, uncompetitive, and until that is fixed, this likely won’t see the light of day in a tournament. Nintendo also decided to bring back tournament mode for offline play and introduced a new mode called “Squad Strike” which features a team game where each side presents a player to face off against the other squad’s player, as a team elimination games, very similar to the “crew battles” found in major tournaments. Reaction: Not bad at all. I never understood why tourney mode was removed from Smash 4. All told, this likely won’t make or break the game, but to re-insert it is certainly not a bad thing. Squad Strike does seem somewhat redundant; the competitive scene already had these events, and managed them just fine from the standard smash mode as is. However, I hardly find that to be a downfall of Squad Strike itself. In fact, both of these modes work a good deal towards correcting the game’s history of having iffy replay value, which should be viewed as a positive. Smash Ultimate will allows players to select two stages that will morph into each other during gameplay. It was also discovered that “stage morphing” would be introduced. Under stage morphing, the player(s) choose two stages. In the middle of the fight, the first stage chosen fades away, and is seamlessly replaced by the second stage chosen. This alteration continues until the end of the fight. Reaction: This idea is absolutely brilliant. Looking away from the competitive scene for a moment, THIS idea was great. This idea, fused with the fact that the game will boast a franchise record 103 stages, will give the game a lot more replay value and shelf life in general. Ever wondered what it’s like to play on Battlefield and Final Destination in the same fight? What about the molten-hot insides of Norfair into the freezing cold atmosphere of the Summit? Or the bright, sky high downtown New Donk City, transferred into the dark, secluded confines of Shadow Moses Island? Well now you can do just that! You can do whatever you want with the game that gives you 10,506 different combinations of stages, not to mention this figure doesn’t even count the fact that all of them have Battlefield and Omega alternates of themselves. Great idea from Nintendo for the casual player. For the competitive one? Well, this will make stage striking a lot more interesting. Instead of rock/paper/scissors to see who gets first strike, to make things truly neutral, why not have each player choose their ideal stage, and morph between the two on Game One? Okay, probably not without some sort of other ramifications, but the discussion will at least be had to include morphing in some way. Quite frankly, anything to add a bit of intrigue to competitive Smash, a scene which hasn’t seen any structural changes in over twenty years, is welcome, especially if final smash meters don’t end up making the cut. To put it simply, the game’s long standing Stamina mode will now come with the option of attaching stocks, so that games utilizing the stamina feature aren’t simple one-n-done games. Smash 5 will also include a revamped training mode. There’s never really been a good reason to NOT have this as an option. Competitively usable? Definitely not as a main event, but perhaps as a side one. The reason why it won’t make for a very good main event is simple. In this game, tourney main events use stock/time with % damage as their main events. Take characters like Meta Knight in Smash 4: these characters have devastating combos at low % that lose effectiveness as you get to higher and higher %. Look at characters like Little Mac and King Dedede – characters who are extremely susceptible to low % combos. Consider that no matter how much damage you take in Stamina, you are essentially at 0%. Also consider that rage isn’t in effect, and Lucario, whose aura causes him to grow more powerful as he progressively attains more and more damage %, would be pitifully weak for the entire battle. As a main event, it would favor too many characters and be too polarizing on too many others to be competitively usable. As a side event without much, if any, of a buy in, it has potential. A secret game mode, perhaps? Ah, nobody does cliffhangers quite like Nintendo. Two things that would make another Direct before launch date inevitable were revealed: When Nintendo revealed what the starting menu of the game would look like, a very large portion of the screen was censored. 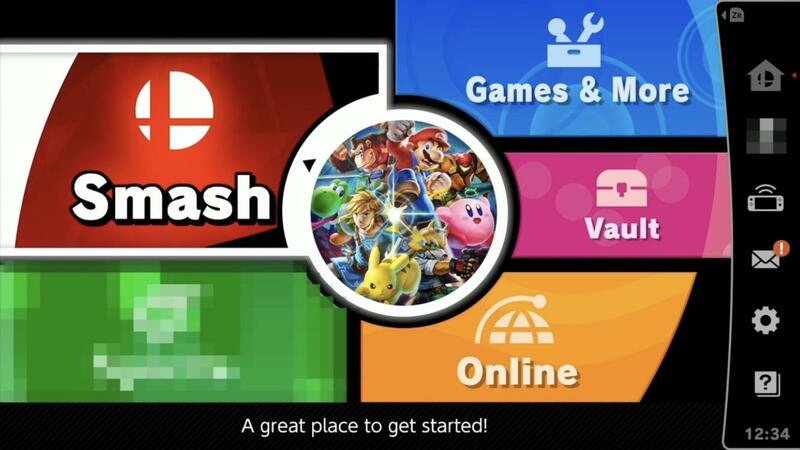 Masahiro Sakurai clarified that they wouldn’t be able to show that part of the menu “just yet.” Of course, this was a deliberate attempt on Nintendo’s part to spurn speculation; What could that part of the menu be? Adventure Mode 2? Another iteration of the Subspace Emissary, that fans have clamored for ever since the days of Smash Brawl? The second cliffhanger was when Sakurai confirmed that more new characters will be revealed before launch day, simultaneously confirming that even more new characters were on the way AND that there would be at least one more Smash Direct before launch date to reveal even MORE new characters/features. What could those be? Referencing the Smash Ballot launched shortly after the release of Smash 4 and general interactions with many people in tournaments and on social media, the leading candidates, in theory, seem to be Geno from the Super Mario series, Isaac from the Golden Sun series, Shadow from the Sonic the Hedgehog series, and Decidueye from the Pokémon series. Of course, they are far from surefire bets to be included in the game. It also wouldn’t surprise me for Nintendo to go for a complete wild card character that not necessarily everyone has clamored for or even knows about. This would reflect when the team made the decision to add Duck Hunt and Wii Fit Trainer to Smash 4, and Bayonetta as DLC. All of this, of course, is mere speculation, and we will need to wait on the inevitable next Direct for more clarity. Boy, Nintendo truly outdid themselves here. They catered to all fans of the game, casual and competitive alike. This is shaping up more and more like an award winning, best selling game waiting in the winds for December 7th. There’s absolutely nothing not to like, and I can’t wait for the next Direct, as well as the aforementioned launch date.